The Psychology of Color in Logo Design. As a designer I work with color every day. Color is one of the most powerful communication devices that designers use. It offers an instantaneous response in the form of non-verbal communication and helps convey meaning in and messaging in logo design. So it is highly important for design professionals in all fields to use color appropriately and understand the meaning behind the colors they choose in their projects. Our minds are inherently wired to respond to color in certain ways, and we are programmed from an early age to respond to color based on cultural ethnography’s as well. Color helps to shape our feelings and emotional responses to visual stimulus, and according to studies, color affects more than just our mood. Color has the ability to change our buying habits as well. Studies have shown that color can invoke as much as an 80 per cent change in motivation when it comes to online shopping, advertising, and marketing campaigns. While the perception of color is in many ways subjective, there are some color effects have universal meaning. The infographic below from Canadian design firm Muse is a great example of how different colors are perceived in relation to logo design. Just a little food for thought on Monday morning. I’ve never been to Lithuania but now that I’ve seen the worlds longest infographic from design studio Zazu I kind of want to go. The infographic is illustrated with line art that tells you how to get there. some general facts and info on things like population, currency exchange traditional food, and some of their iconic sights to visit. I love the look of this image. There is a certain late 1960’s early 1970’s feel to it with an updated appeal. It has a nice blend between hand drawn, and obviously computer generated, and I’m OK with that. I’m kind of over the sketchy chalkboard art look that has been burning up the design world for the last few years. Posted in Design and Art, Information Graphics and tagged Design, Drawing, Drawn, Graphic Design, Illustration, Illustrator, Infographic, Information Graphics, Zazu on July 1, 2014 by Author. The Power of Online Video. Less than a decade ago, the idea of using video as a marketing tool online was painful. Bandwidth was still limited, getting people to watch online was a challenge, and media outlets were few. Today however that has changed. With internet speeds ever increasing, the advent of multiple outlets, devices, and platforms, video is the fastest growing ad segment on the internet. Video growth is due in part to lower production costs thanks to advances in technology, the popularity of of video capable smart phones and tablets, and better online video production values. Over the last year alone, online video use has increased by 12 percent among business to business marketers. And video is now the 6th most popular online marketing tactic. 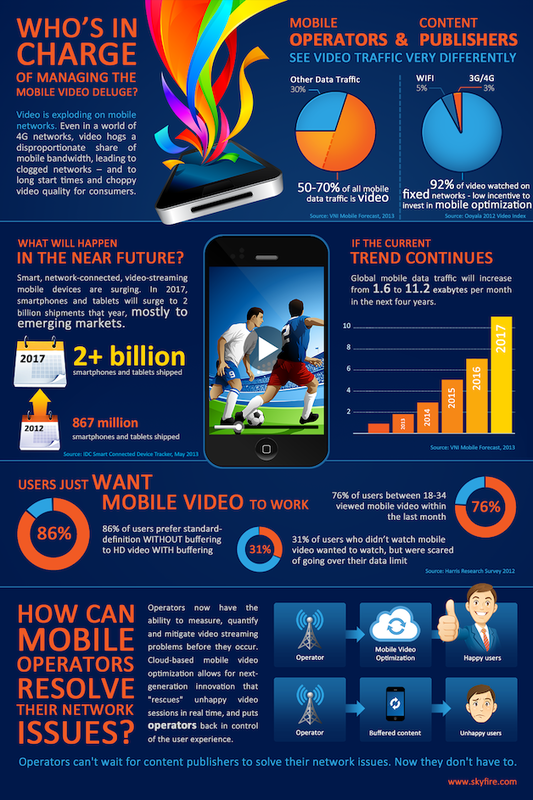 The infographic from Brainshark below has even more information about the rise of video, and it’s online potential. Posted in Advertising, Information Graphics, Video and tagged Advertising, Brainshark, Content Creation, Infographic, Marketing Tactics, Online Marketing, Online Video, Video, Video Marketing on December 10, 2013 by Author. Getting It Right, With Responsive Design. I am a firm believer in “Keep it Simple”, and “Less is More” when it comes to design. Especially interactive design. In today’s world the average window to engage a mobile visitor to your web site is less than five seconds. If you consider that more than ten cents out of every dollar spent online, now happens through a mobile device, it is your best interest to make every one of those seconds count. A key to capturing and holding a visitor on your site lies in using responsive design that scales across all devices and operating systems. With the marketplace shifting more and more to a post desktop world you need to be able to effectively reach your target audience on their smart phone, tablet, laptop, and even their TV. because of this, making sure your web site is designed to meet their ever-evolving needs is critical. Responsive design allows you to keep the features visitors want, and effectively remove the things they don’t. In todays ever-changing interactive world there is no room clunky graphics, confusing navigation, or pages locked into desktop-only resolutions. Today’s users want their Internet lean, clean, and sized for whatever screen they are looking at. The reward for making more out of less is substantial. With more than 2.1 billion mobile broadband subscribers ( A number that is growing exponentially ) as potential visitors, customers, content readers, brand advocates, social connectors, influencers, etc. working with an economy of expression and maximum interactivity are critical. The best design may just be the one boasting the greatest interactivity and the fewest visible designer touches. The infographic below shows off some of the best principles and practices for developing smart responsive designs for your interactive projects. Posted in Design and Art, Information Graphics, Technology and tagged Design Principals, Infographic, Interactive Design, Internet Design, Keep It Simple, Less is More, Responsive Design on November 1, 2013 by Author. Wireframe, Prototype, Simulation Tools. The Giant Infographic. If you do any kind of interactive design work you know the importance of visualization and prototyping tools. This set of tools covers everything from wireframes to visualization, and there are a ton of choices. Lucky for us, some people over at usertesting.com designed a huge infographic that lays out all the tools of the trade, the platforms they work on, and the platforms they develop for. They also include price comparisons which is important for everyone because ROI impacts everyone in the business of making money from design. Posted in Design and Art, Information Graphics, Technology and tagged Design, Infographic, Interactive Design, Prototyping, ROI, UI, User Testing, UX, Visualization, Wireframes on June 24, 2013 by Author. Yesterday Facebook, owner of Instagram announced they were adding video to the popular image sharing software. This is probably to counter act Vine from Twitter. Both services now offer users the option to upload 15 or 6 second video clips respectively. The addition of video to Instagram helps to solidify the ever growing presence of video on the internet and mobile devices. Mobile Internet specialist Skyfire has produced a new infographic that details the various challenges facing mobile operators looking to make mobile video work efficiently and effectively. “Who’s in Charge of Managing the Mobile Video Deluge?” by Skyfire looks at the different ways in which mobile operators and content publishers view video traffic. At the same time it also casts an eye over the potential ways by which current trends could meander in the not too distant future. Posted in Smartphones, Technology, Video and Motion Graphics and tagged Facebook, Infographic, Instagram, Mobile Video, Skyfire, Social Networking, Social Video, Twitter, Video Sharing, Vimeo, Vine, Youtube on June 21, 2013 by Author.